Today is the last day of blogging marathon 5. And my dish for the day is Avocado paratha. 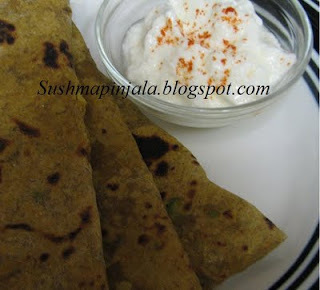 Different from other Parathas which is easy to make and healthy. Add garam masala, salt, chilli powder, Jeera, haldi, and 2 sps oil in flour. Also add mashed avocado. Now mix well and add water to make it as a chapati dough. Make as parathas and cook on pan like normal parathas. Serve hot with plain curd or Raita. 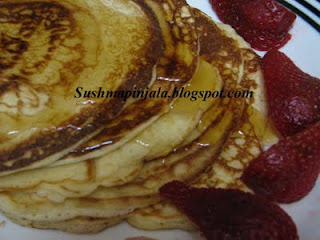 Mix Pan cake mix with egg and milk till smooth. Heat pan and apply little butter. Once the butter melts add little pan cake mixture. Wait for 1 mit and turn to other side to cook. All this process have to be done on medium flame or else the pan cakes will burn. Repeat this process to make pancakes. This mixture makes around 5 pancakes. Transfer to serving place and add honey or maple syrup on top. 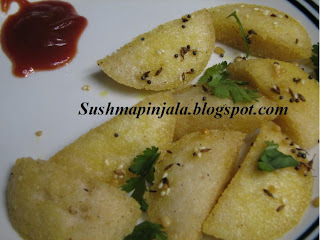 Serve with strawberries or banana or with ur favourite fruits. 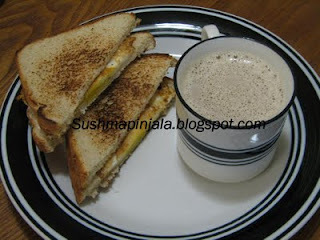 Simple and easy to make a healthy breakfast. Heat pan and add oil. 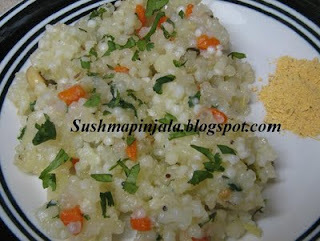 Now add mustard seeds, jeera, red chili, chana dal, curry leaves and saute for few seconds. Now add cashew and peanuts. Now add all chopped veggies and cook for 2 minutes Now add 3 cups of water and bring it to boil. Add cilantro and salt to taste. Now add wheat rava slowly and simmer the stove and place lid on top. 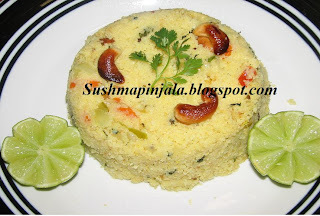 Cook for 4 minutes and switch off the stove. Serve hot with any chutney, sugar or fresh lime or lemon juice on top. This serves 2 people. Soak sago over night in water. Heat oil in pan add jeera, mustard, red chilli, udad dal and chana dal. Add curry leaves and all chopped veggies . Now add peanuts and cook for 3 mits. Add salt and mix well. Drain water and add sago to the cooked veggies. Mix well and garnish with cilantro. 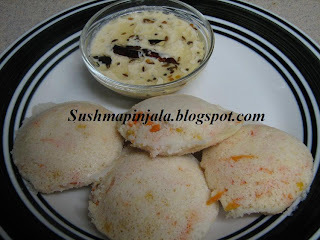 Do not cook for more than 2 mits after adding sago.